Student life is not all that easy. It gets even tougher during exams. The load of innumerous books, pressure from home folks, exams, and stress adds to the difficulties a student has to face during this phase of his/her life. But nevertheless being a student has its own charm too, those working in a pressurizing office environment will definitely agree on this one. Those teen years are some of the best years of your life. Student life apart from being hectic is expensive too. There are so many things that you need to spend on, whether it is a gift for your girlfriend/boyfriend or simply adding on to the already heaped wardrobe. When there is no way you can really cut down on all these miscellaneous expenditures, then why not save some money by going in for cheap accommodation. There are hostels services, paying guest accommodations and the like that allow you to rent a space for a nominal amount and save that precious amount for other things. Though you might just have to compromise a bit on the privacy aspect, you get to save and have fun with your roommates as well. So go in for some cheap accommodation by checking into a Hostel. If locating a Hostel in your area is difficult, then all you got to do is log on to www.hosteltraveler.com and we will help you find one. Why to avail hostels services? Traveling is quite an adventure, but this frequent adventure proves to be quite expensive. You obviously cannot ask an airline to let you travel for free or reduce the air fares just because you want your journey to be a little easy on the pocket. Well, you might not be able to cut down on your travel expenses, but there are some overheads that you can reduce considerably. For instance, you can choose to go in for hostel services instead of booking into a hotel. I have to agree that hotels do offer you more privacy and comfort as opposed to a hostel, but then the cost you have to pay for that extra privacy or comfort might just not be worth it in the end. Availing hostel services will not just help you save on your expenses that are even more precious during that sojourn, but also offer you many more advantages. These hostels come across as the cheapest and the best way to live on the go. Their less formal nature brings in a casual air and lets you be yourself, unlike hotels where more than half your attention is gone in being your best self. More than that, these hostel services offer you various activities like guided tours, language lessons, live music, local bars, barbecues, and much more for little or no charge at all. There are many more reasons for you to avail hostel services. To know more log on to www.hosteltraveler.com. Why www.hosteltraveler.com stands out as compared to other travel service providers? A quick glance at the services provided by Hosteltraveler.com. Shows the spirit and the passion with which HostelTraveler.com tries to give the best in the industry. First off, I am so glad I found this site. I stayed at the Comfort Inn / Karben in 2005 while on business. It’s just 20 minutes outside of Frankfurt. I wanted to stay here again and checked prices on Expedia, The direct website, and Hostel Traveler. Hostel Traveler by far offered the best price. It beat the best net price by nearly $200 for the entire stay. This is a simple hotel, clean rooms very nice setting, close to many amenities, and about a 10 minute or less walk from the train station. I would recommend this hotel to anyone that doesn’t want the high prices and bustle of downtown Frankfurt. What is the procedure for online hostel booking? Hostels make for the cheapest and the best places to stay, especially for people traveling on a shoestring budget. This is why many students take to staying in hostels while traveling and even provide a home-like and warm environment. After having visited so many places across the world and having a vast experience of staying in hotels as well as hostels, I would recommend the latter to anyone planning a trip. However, unlike hotels, it €™s not so easy to find many hostel accommodations over the web. But I have a simple solution to this problem €“ simply log on to www.hosteltraveler.com and find a huge list of quality hostels across the world! The website offers a simple and uncomplicated procedure to hostel reservation. For this, all you need to do is log on to the website and select the place you are planning to visit. By doing this, you will get a list of the hostel accommodations available in the city along with the facilities and the tariff rates per night. Then you can select the one you like and book the hostel for a specific number of days and pay online. This site provides a confirmed allotment of your room and also gives you a receipt on payment. Also, you can be assured of paying the most competitive of prices for these hostels. So, go ahead and ensure a comfortable and inexpensive stay by booking online with Hostel Traveler. Is it easy to find cheap hostels worldwide? Being an avid traveler, I always have the need to travel at low budgets and more importantly to travel economically. The focus is always on getting the best deal possible. For a budget traveler, I would suggest hostels as the best option. They give you the opportunity to save money and utilize it for traveling. Travel lovers all around the world like to board with these youth hostels not only for low costs but also for the lively environment that they provide. In such a scenario, Hostel traveler is a site that is unique. It caters to the needs of travelers who are on a low budget. It €™s info about the hostels is best suited for the youth who have a passion for traveling but are not able to afford too much. If you are a backpacker looking for low cost hostels, then the www.hosteltraveler.com website will give you valuable information. The online reservation process followed on the site is simple, user friendly and most of all reliable; you can be assured that you will not find better deals around. You can even compare the prices along with the facilities they offer, online. I can assure you that the payment and the lodging through HostelTraveler.com will always remain guaranteed. The company sticks to its principles and issues receipt of confirmation immediately after receiving the payment. Bookings are confirmed instantly online, and for those youth hostels that don €™t have online availability, the HostelTraveler.com website allows you to submit an automated request. The whole process is very streamlined and easy. 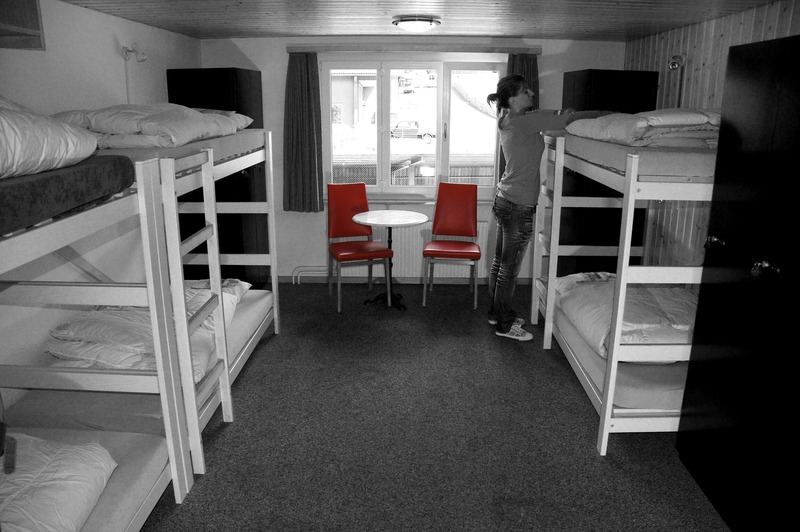 The concept of staying in hostels while traveling has really taken hold in the past decade. In fact, anyone who has a tight budget would prefer staying in a hostel rather than a hotel. So, when I was planning to do a month-long tour of California, some of my friends suggested to me to stay in a hostel. Though apprehensively, I took their advice only to find out that the hostel was a much more relaxed place to stay and I found many lone travelers like myself there! I relished the whole experience of staying in a hostel so much that I would recommend it to any and everyone who plans to travel. However, the only problem with staying in a hostel is finding one first. Now, looking for a hostel has also become easy with www.hosteltraveler.com which offers a huge list of hostels across a large number of countries in Europe, America, USA, Canada, Oceania, Middle East, Asia, Africa and other places. With just a few clicks of the mouse and after following two simple steps, you can book hostels anywhere in the world. This gives you the opportunity to enjoy the thrill of online booking without facing any hazard. Whether you are looking for a budget hostel or a youth hostel, you will find them online at Hostel Traveler €™s user-friendly website. You will also be able to compare the tariffs of various hostels and select the one that fits your budget. Using the website also helps you to make a secure payment. So, gear up to enjoy your trip and stay in a hostel without worrying about the expenses!